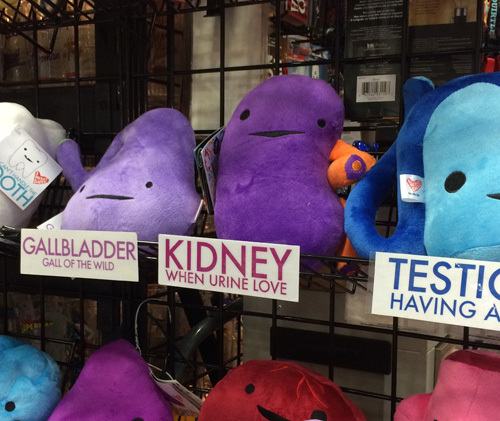 Remember last year’s San Diego Comic-Con photo recap where I mentioned the kidney stone? Well, I still have it and at this writing I have two stents inside me, connecting my kidneys with my bladder. They were placed in May in order to facilitate a subsequent procedure (scheduled for next week) to remove the Rice Krispie-sized pellet of calcified crystals/crystalized calcium. The stone itself doesn’t hurt; it’s just camping out like a hibernating grizzly bear. It’s the stents that are very uncomfortable and made worse when I walk around. This will no doubt make for a terrific Cool Jerk story line somewhere down the road, judging by the reactions of friends who asked how I was doing. 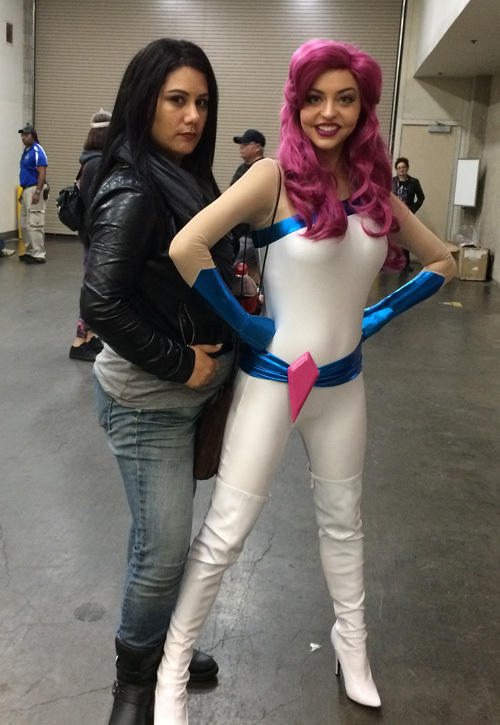 I was off my game, unable to actively (or hyperactively) engage with fans, friends and the Cool Jerk-curious. I had to stay sitting at the table, more or less, for the whole show. Darlene did what she could to pick up the slack, but regardless, sales suffered accordingly. 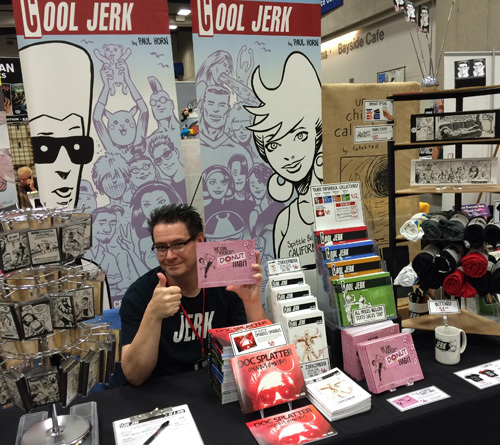 That being said, it was still terrific to exhibit in the same spot since 2003 and see old friends and make new ones. Having one down year out of 14 is not bad, but it was sobering. Darlene and I outlined an attack plan for the next 12 months, which we’re calling “Cool Jerk’s Counterattack.” Stay tuned! Let’s start with one of my few walkabout opportunities. The owls are not what they seem. 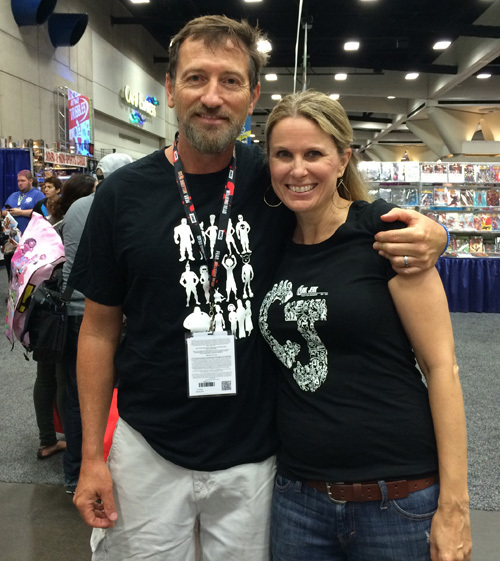 Here I am at the table, with Darlene’s second comic — The Girl Who Kicked The Donut Habit — in hand. 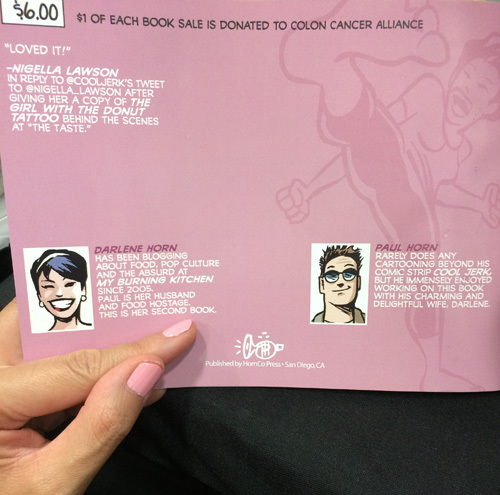 The back of the new book. Notice Darlene’s matching fingernails. 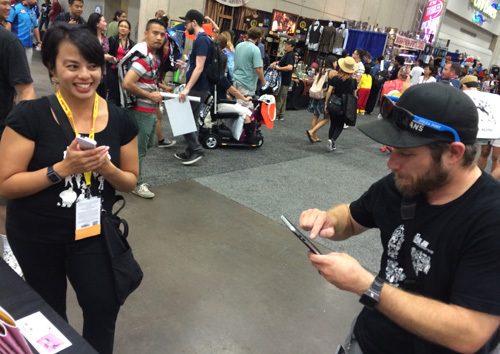 Here’s Darlene and Eric (both wearing awesome Cool Jerk tees) playing that goddamn Pokéymon Go game. 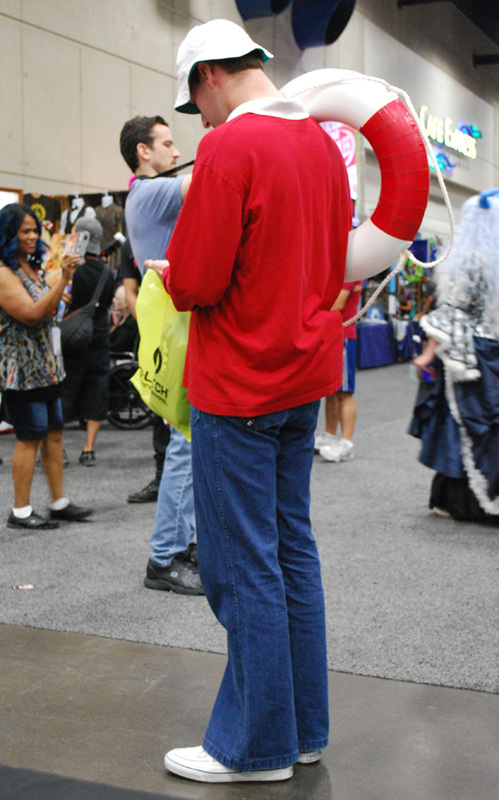 LIKE EVERYONE ELSE ON THE ‘CON FLOOR. 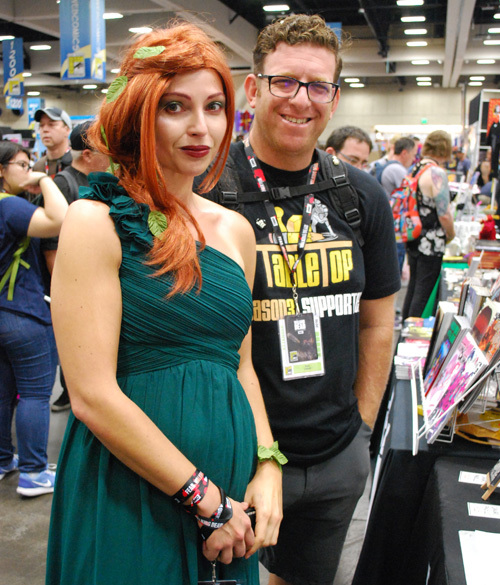 Also swinging by the table were the dapper and delightful duo “Eva Halloween” (cosplaying Poison Ivy) & “Boy Drinks World.” You might remember Eva and Doc Splatter joined forces in Oct. 2013 to cross-promote each other’s websites. Jemm! 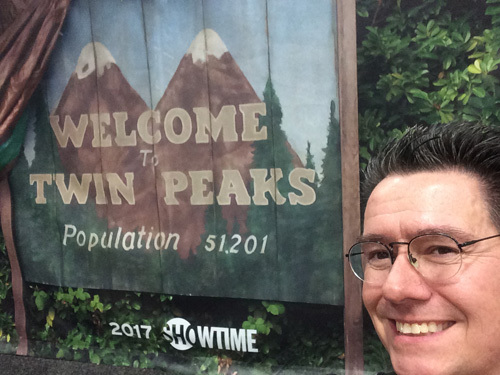 No sign of the Holograms, however. Couple of friends (Aubree & Brenan) as Mystery Science Theater 3000. Their creativity is on point. 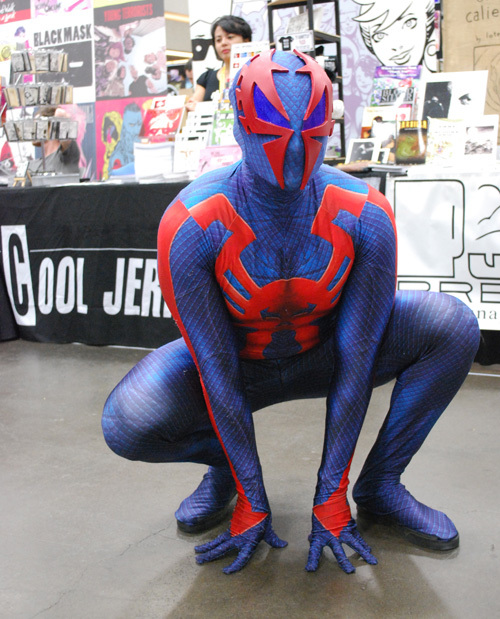 Thinking outside of the box, here’s a creative cosplayer as Spider-Man 2099. Meanwhile, Darlene is letting this awesomeness sink in. 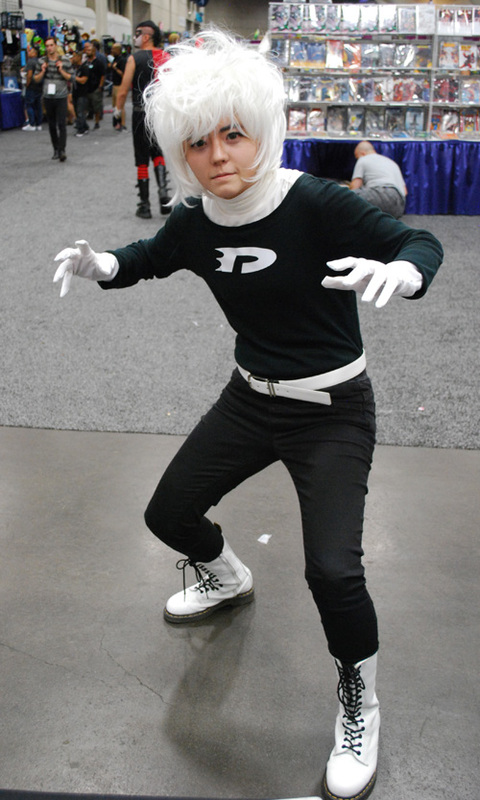 Remember Danny Phantom on Nickelodeon? I certainly did. 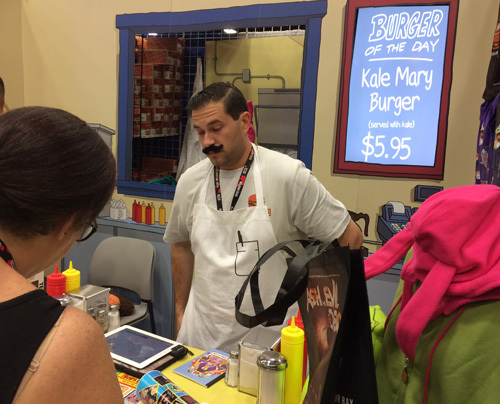 Darlene got this pic of the Bob’s Burgers booth. Note the Ash vs. Evil Dead bag. I WONDER WHAT’S INSIDE. Speaking of Ash vs. 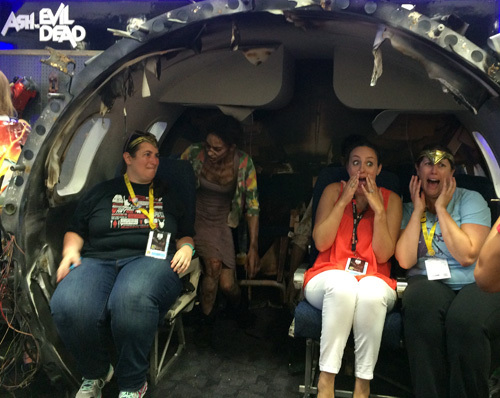 Evil Dead, this interactive photo booth was either promoting that show or the adjacent Fear The Walking Dead. Time for some mash-ups. 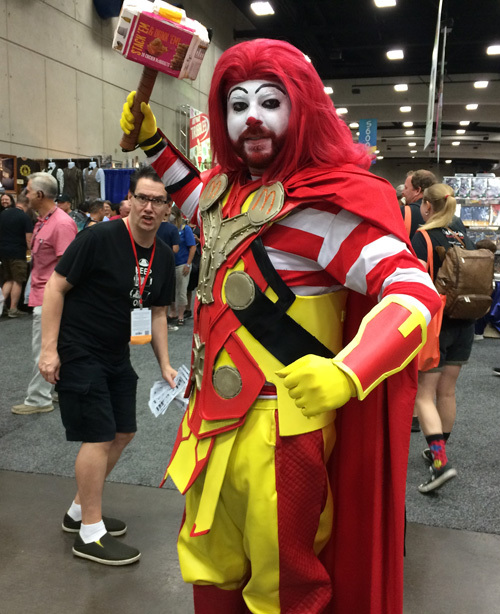 Here’s Ronald McThor Odinson with his enchanted hammer, Happy Mealjolnir. Scarily closer to reality than I like to imagine, here’s… well, you know. 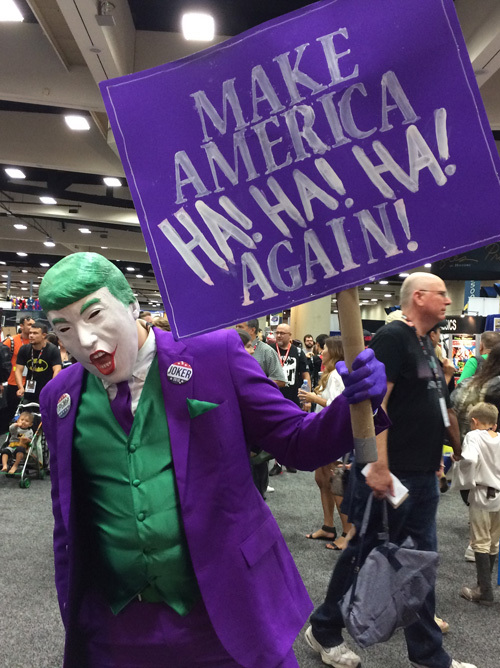 What’s a comic-con without some cross-play? 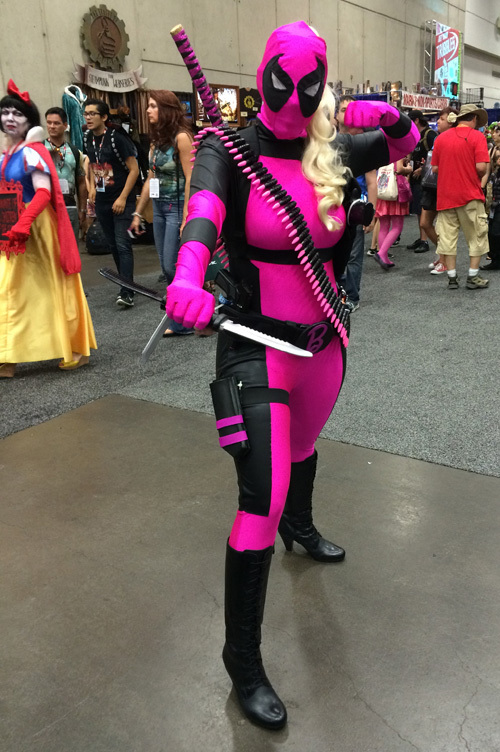 Here’s the female version of Dr. Strange. 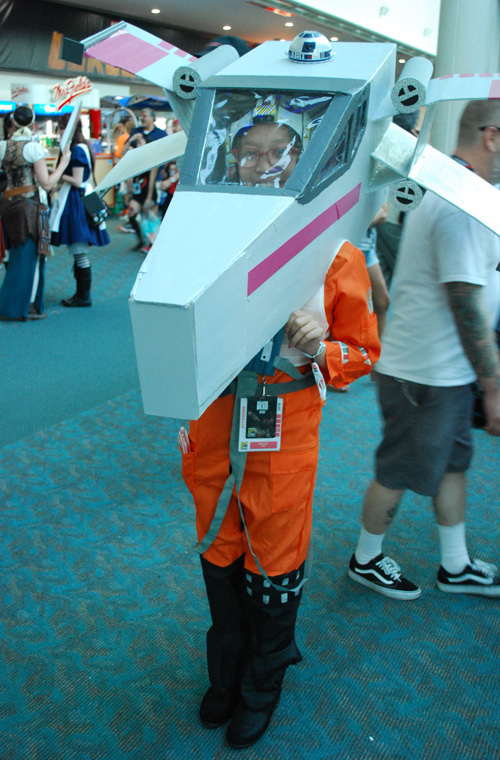 Here’s the best X-Wing Pilot I’ve seen at any comic-con, ever! I did not see any other stranded castaways. 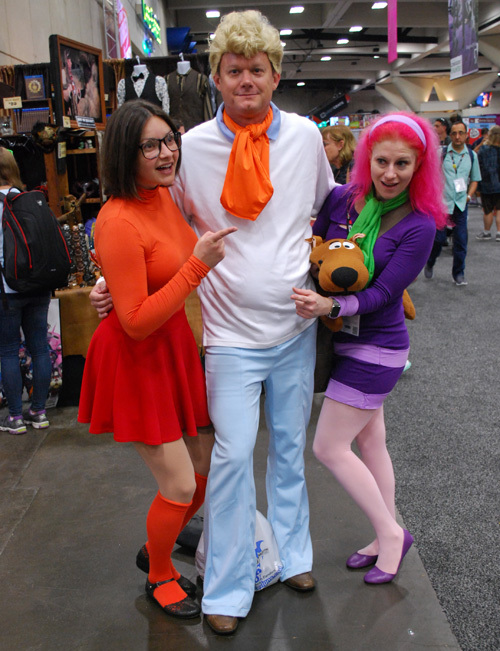 Shag was nowhere to be seen, either. 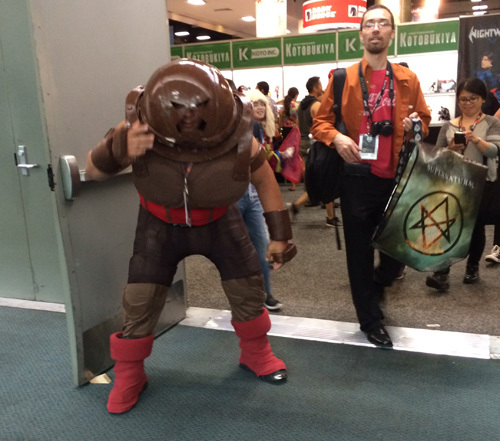 Darlene was lucky to catch the Juggernaut busting out of Exhibit Hall A. 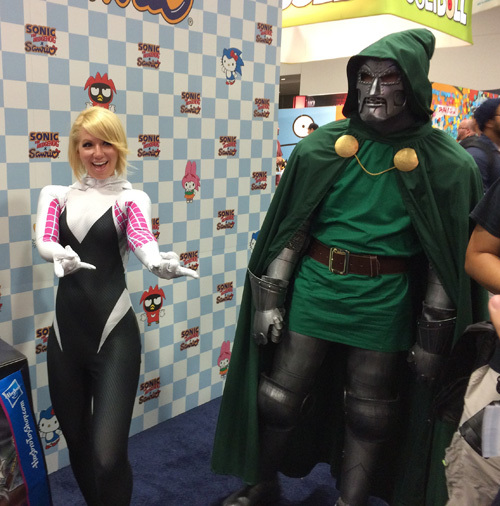 Also, fine renditions of Spider-Gwen and Doctor Doom. 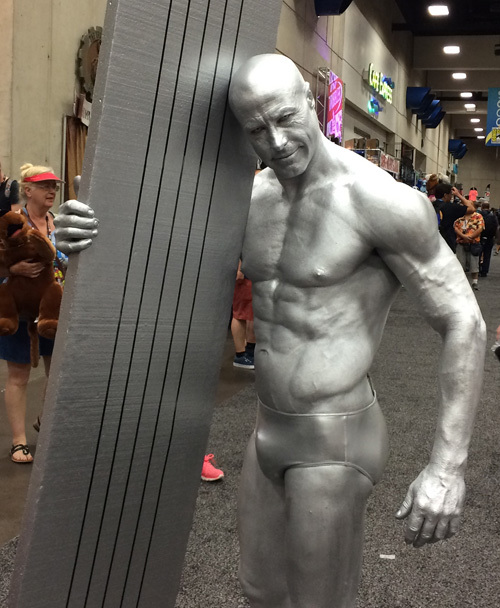 …and here he is as Silver Surfer. 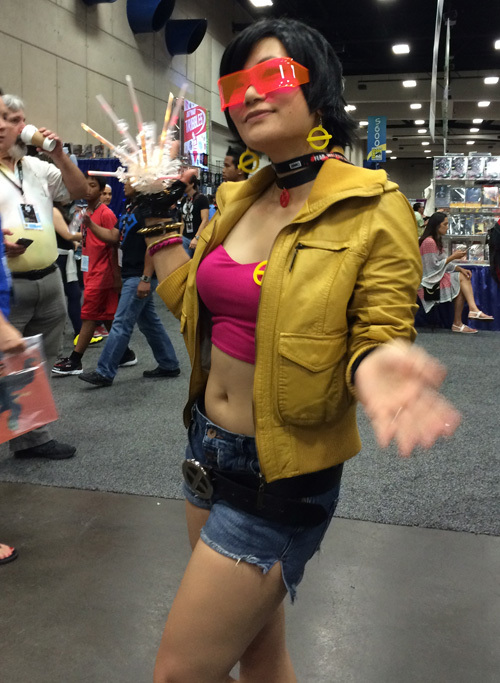 This gal’s Jubilee game was strong! 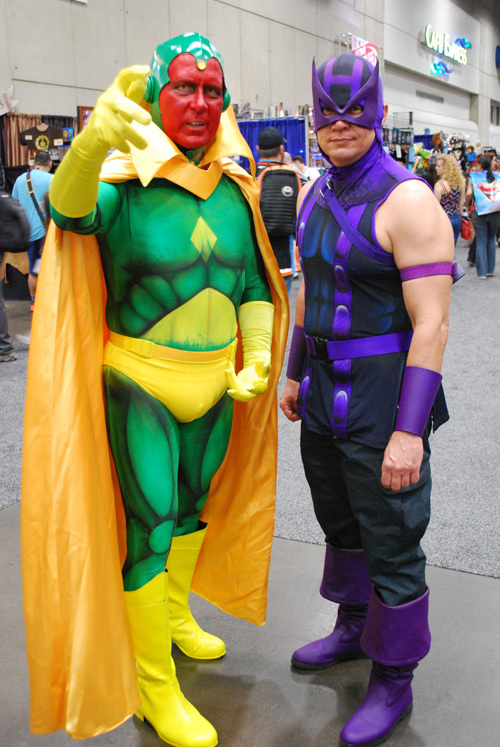 Refreshing to see the comics versions of Vision and Hawkeye (opposed to the Marvel Cinematic Universe ones). This one’s kind of a mind-bender: on the left is Jessica Jones (watch the Netflix series) and on the right is Jessica Jones’ short-lived alter ego, Jewel. 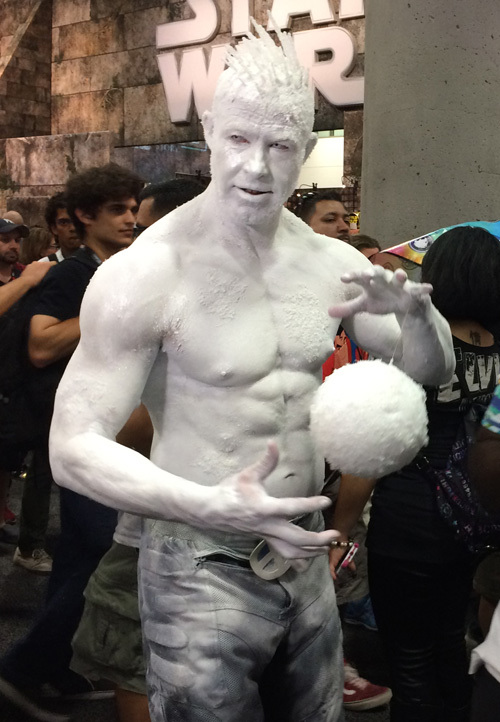 Here’s Marvel’s C.B. 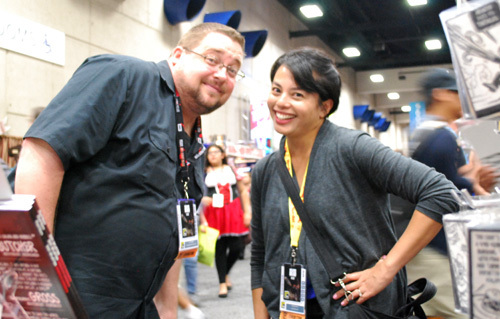 Cebulski and Darlene, before they wandered off to talk about the San Diego food scene, comics and whatnot. 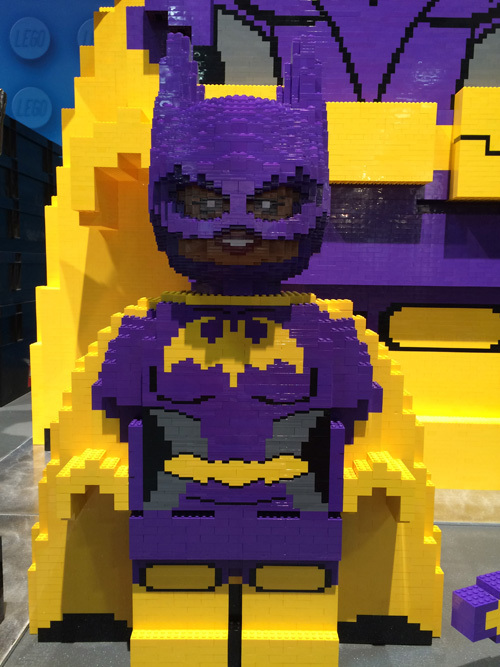 I always try to find a cool Batgirl, and this year’s is courtesy LEGO. 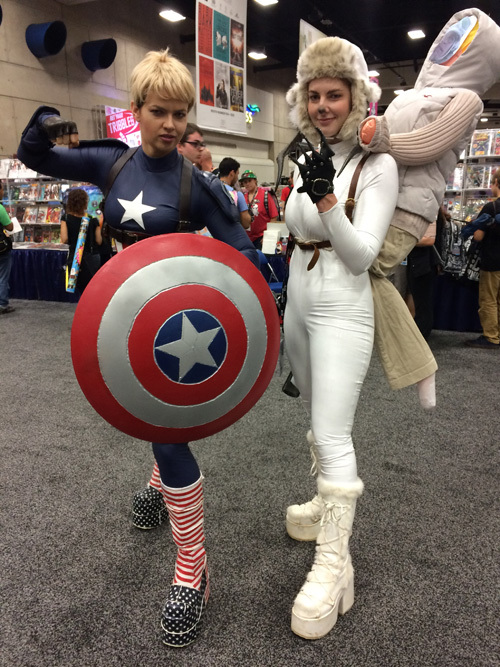 …and the next day they cosplayed as a line of dialogue from one of my favorite movies, The Silence of the Lambs. We have Jane Gumb/Buffalo Jill with the quote “It rubs the lotion on its skin or else it gets the hose again.” And on the right, the bottle of lotion IN the basket with Buffalo Jill’s doggie, Precious. Insane! 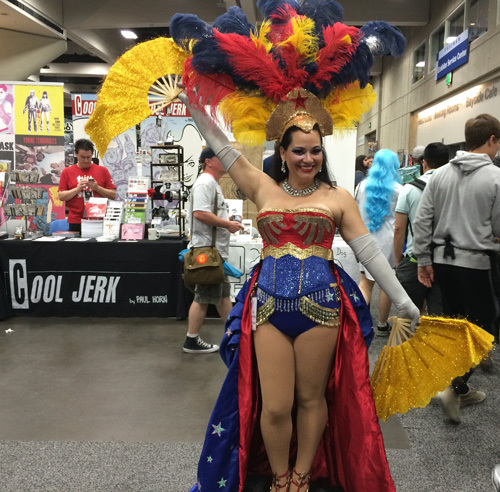 They were really funny and embodied the best aspects of comic-con and cosplayers. I am missing all the cool stuff! It’s been a while, I need to get back to San Diego.